WASHINGTON, D.C. — U.S. 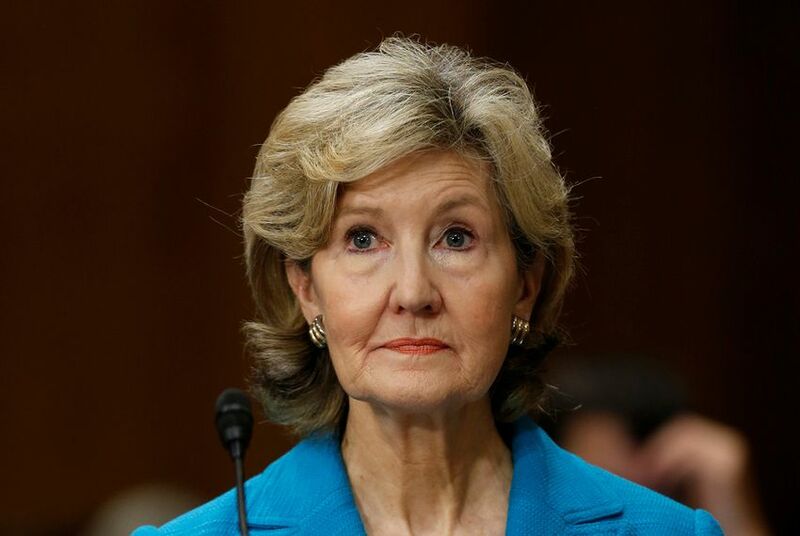 Ambassador to NATO Kay Bailey Hutchison vouched for her new boss, U.S. Secretary of State Rex Tillerson, in an interview Thursday night. “There is a lot going on that is good, that is positive,” Hutchison told Washington Post columnist David Ignatuis in an interview in the nation's capital. Hutchison’s remarks come a week after reports surfaced of Tillerson calling U.S. President Donald Trump “a moron” in July. The Department of State is at the center of escalating nuclear tensions in both North Korea and Iran. Hutchison and Tillerson have ties dating to her days as a senator from Texas, when he was the CEO of ExxonMobile. They are both graduates of The University of Texas at Austin. Hutchison said there was a lull after the Cold War when many thought the world would be peaceful and easy, but that is not the case anymore. Hutchison said the body is facing "a different set of risks," such as cyber interference from Russia, that it is looking into in order to understand and defend against. Disclosure: ExxonMobil has been a financial supporter of The Texas Tribune. A complete list of Tribune donors and sponsors is available here.